Workers erect a sign for Smokey's Greater Shows Friday morning on the Farmington Fairgrounds. 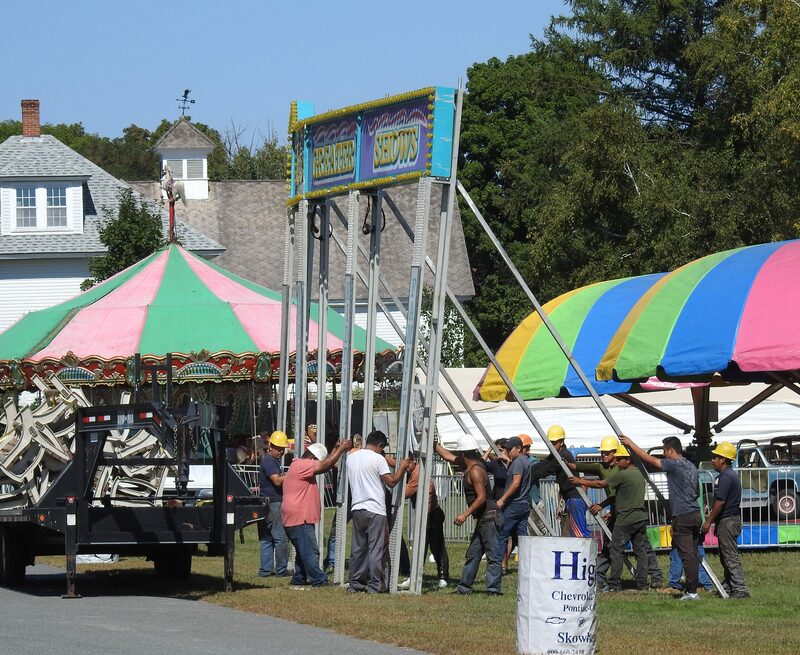 The fair opens Sunday. 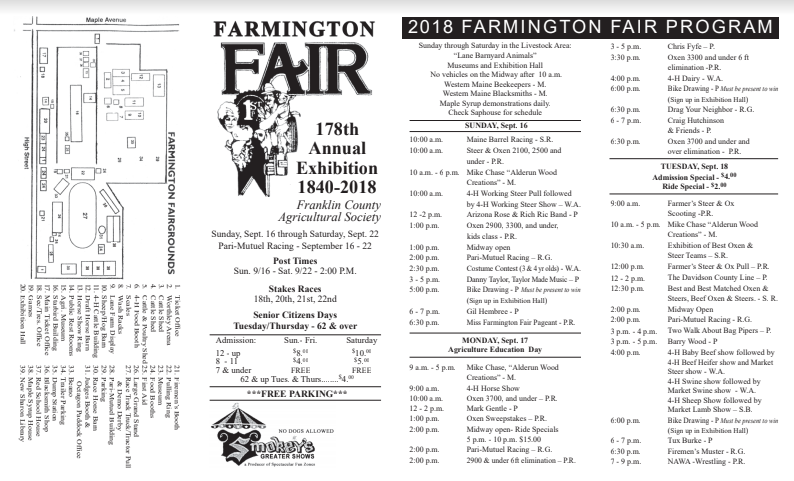 FARMINGTON - The 178th annual Farmington Fair will kick off a week of rides, games, contests and agricultural events Sunday, Sept. 16, running through Saturday, Sept. 22. The annual fair will feature its traditional livestock shows and contests, pari-mutuel racing, exhibitions, midway games, rides and food. A number of new events have been added this year focusing on children, with new contests, demonstrations and a nightly bicycle giveaway. The bikes will be distributed through a nightly raffle that will see two children under the age of 18 receive a new bicycle. Tickets will be available at the Exhibition Hall to be filled out, and the drawing will be held at the gazebo. Bikes have been donated by Randy Hall, Rupert Pratt, Franklin Savings Bank, Mosher's Seafood and Meat, the local Elks Lodge and the Emblem Club, and the Dugout Bar and Grill. Winners must be at the gazebo drawing to receive a bike; the drawing will held at 5 p.m. on Saturday and Sunday and 6 p.m. on weekdays. Also new this year is a pie-eating contest beginning at 5:30 p.m. on Thursday. Kids ages 5 to 8 will be challenged to eat as much chocolate-creme pie and whipped cream as they can. Another new event is a Western-themed costume contest held Sunday at 2:30 p.m. for children ages 3 and 4. 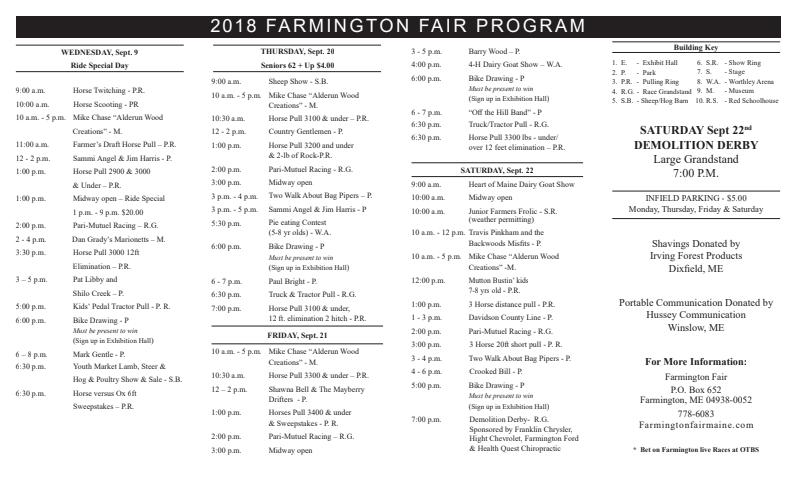 On Saturday, beginning at 10 a.m. in the show ring, a Junior Farmers Frolic will be held for children. The event is designed to let kids experience things like spreading hay, cleaning stalls, and other day-to-day farming tasks. 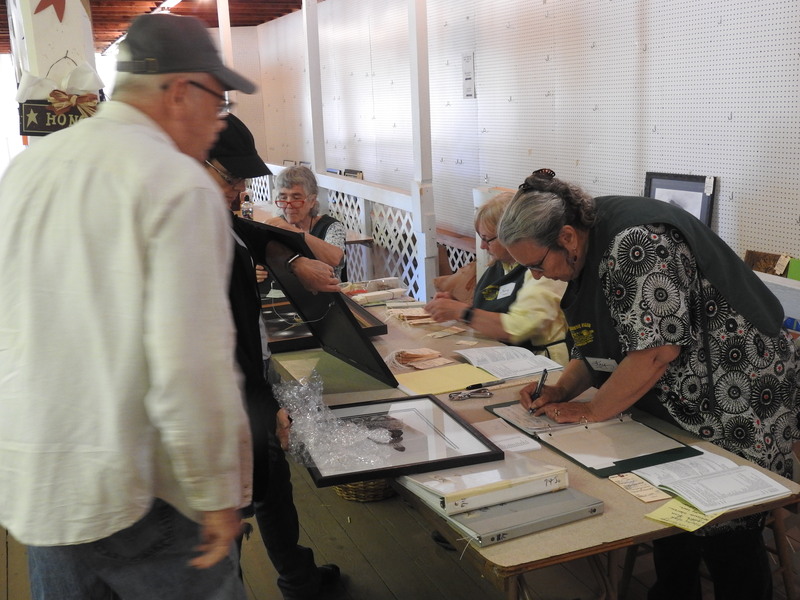 Volunteers register artwork in the Exhibition Hall. Monday is Agriculture Education Day, with local-area school students spending the morning learning about everything from beekeeping to apple cider, as well as touring the animal barns and viewing demonstrations from a number of local agencies. Drag Your Neighbor will be held at 6:30 p.m., offering a chance for participants to show off their drag racing skills. Tuesday and Thursday offer special discounts for senior citizens. Tuesday also has $2 rides, with a host of steer and ox pulls. 4-H will be putting on a nuder of shows all afternoon, including the Swine, Baby Beef, Heifer and Sheep show. The Firemen's Muster will be held that night at 6:30 p.m., followed by two hours of wrestling by the North Atlantic Wrestling Association. Wednesday offers more specials on rides, plus horse pulls and the Youth Market Lamb, Steer, Hog & Poultry Shows and Sales. Thursday has the Sheep Show, beef and dairy demonstrations, as well as the truck and tractor pulls. The 4-H Dairy Goat Show and more truck pulls are Friday, while Saturday brings the Heart of Maine Dairy Goat Show and the Demolition Derby, which is always a crowd favorite. This year's featured historical society in the post office building will include exhibits from the Phillips Historical Society. Best fair.Finest folks! Can't wait!!! Thank you DF for your nice compliment. As a fair official I can say it is a tremendous amount of work all year long but something that we all enjoy doing.. We are always open to new ideas and suggestions. We can’t thank the many volunteers who donate countless hours to help complete our week. We hope everyone has a chance to visit our grounds and fair . Thank you everyone for your years of support. Neal and fair officials. What does $2 rides on tuesday mean?? Having recently visited the fairgrounds for another event, I can honestly say the buildings and grounds look better than ever. Clean modern bathrooms and everything is neat and tidy. We are excited to make the trip down! Each ride is 2.00 a piece. Great deal. Amy. All rides are 2.00 each on Tuesday only. 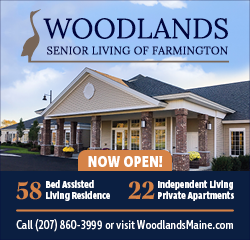 Please call 778 6083 for any more information. The agricultural events for children at this fair are awesome and educational. However I don’t think the addition of a pie eating contest for 5-8 yr old kids is beneficial. $8.00 a person to get into the fair (unless under the age of 11) - Seems a little steep, especially for a family of 3 or more. Then you pay for food, rides, games, etc. Yikes. I love the addition of the buildings to the historical part of the fair. I'm so looking forward to going to the New Sharon library building, I have so many fond memories of it as a child. The museum and out buildings are wonderful! Love the Farmington Fair! I just wish there was an option to buy a week-long pass. Went Monday night! Lots of fun, food and entertainment. How late do rides go tonight?